With my birthday coming up next month, I started to get a little nostalgic, this time 10+ years ago I would be going to gigs, spending all my spare money buying tickets to go to gigs and spare time searching for gigs to go to. There was nothing more I loved to do then to go see my favourite band, hang out with my friends and getting that buzz you only get when you're screaming along to your favourite songs. A major contrast to now, I only get that buzz when I get a full 9 hours sleep at night. Ya gal loves an early bedtime. One thing which was a must was nailing the perfect outfit. You didn't want too many layers cos it got hella hot in the venue but not cold enough you didn't wanna freeze your nips off walking to where your parent friends were picking you up to take you home. So, cos ya gals old and approaching 30 very very rapidly I wanted to relive the best part of my youth and reminisce some of the best times I had before I had to start worrying about things like a career, budgeting and paying council tax. With this in mind, I headed over to Pretty Little Thing's website after I was asked to pick a few outfits out to style up and put my own spin on them - how cool is that?! 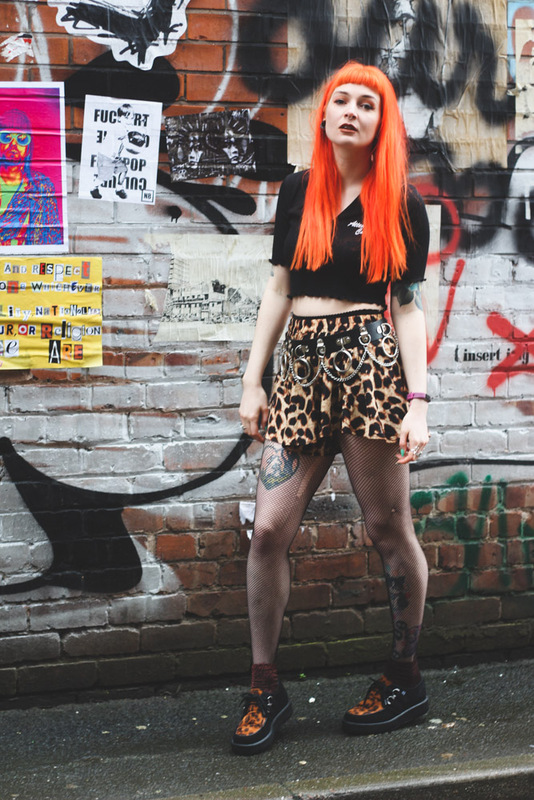 I straight away went for a pair of leopard print shorts I've had my eyes on for the longest time, as soon as I saw them on the site I fell in love immediately and when I finally put them on they were even better IRL then I anticipated. I've kinda got this thing for lettuce trim tops at the moment and came across the cutest subtle slogan T that was ridiculously flattering on so pairing that with the shorts was a no-brainer. To add some grunge I went for an outrageously extra AF belt complete with hoops and chains and my trusty fishnets and creeper combo. 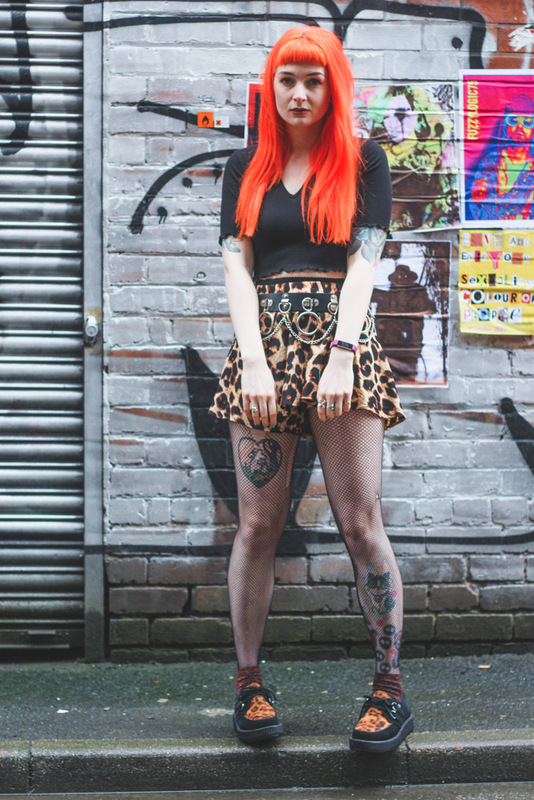 The perfect outfit to pay homage to a decade younger Jess and her gig-going days. This is definitely one of my favorite outfits ever!